I made sysbench oltp benchmarks on 10 mln rows (worth 2.5GB of data), on our Dell R900 system ( 16 cores, 32GB of RAM, FusionIO + RAID10, but disk in this case does not matter). As I wrote about 2 years ago the feature of Innodb to store copy of master’s position in Slave’s Innodb tablespace got broken. There is a lot of discussions at the corresponding bug report while outcome of the fix remained uncertain for me (the bug is market duplicate while the bugs it seems to be duplicate for describe different issues). Looking at the Master for this slave I could see its binary log files going only to about 2000, so the binary log file mentioned did not ever exist on this master. What is going on ? The thing is Innodb does not update this information any more however if it is stored in the tablespace the code is still there to print it. This database was running older MySQL version a while back which was updated to MySQL 5.1 months ago, moved to the new hardware by physical copy and the log file numbers restarted back from 1 but tablespace still contained the ancient data. I reported the bug on this which should be easy to fix. Otherwise it is easy mistake to make. We also have a patch which restores this information and uses it on slave crash recovery. With COMPACT and REDUNDANT row formats (used in before Innodb plugin and named “Antelope” in Innodb Plugin and XtraDB) Innodb would try to fit the whole row onto Innodb page. At least 2 rows have to fit to each page plus some page data, which makes the limit about 8000 bytes. If row fits completely Innodb will store it on the page and not use external blob storage pages. For example 7KB blob can be stored on the page. However if row does not fit on the page, for example containing two 7KB blobs Innodb will have to pick some of them and store them in external blob pages. It however will keep at least 768 bytes from each of the BLOBs on the row page itself. With two of 7KB blobs we will have one blob stored on the page completely while another will have 768 bytes stored on the row page and the remainder at external page. Such decision to store first 768 bytes of the BLOB may look strange, especially as MySQL internally has no optimizations to read portions of the blob – it is either read completely or not at all, so the 768 bytes on the row page is a little use – if BLOB is accessed external page will always have to be read. This decision seems to be rooted in desire to keep code simple while implementing initial BLOB support for Innodb – BLOB can have prefix index and it was easier to implement index BLOBs if their prefix is always stored on the row page. This decision also causes strange data storage “bugs” – you can store 200K BLOB easily, however you can’t store 20 of 10K blobs. Why ? Because each of them will try to store 768 bytes on the row page itself and it will not fit. So BLOB storage was not very efficient in REDUNDANT (MySQL 4.1 and below) and COMPACT (MySQL 5.0 and above) format and the fix comes with Innodb Plugin in “Barracuda” format and ROW_FORMAT=DYNAMIC. In this format Innodb stores either whole blob on the row page or only 20 bytes BLOB pointer giving preference to smaller columns to be stored on the page, which is reasonable as you can store more of them. BLOBs can have prefix index but this no more requires column prefix to be stored on the page – you can build prefix indexes on blobs which are often stored outside the page. COMPRESSED row format is similar to DYNAMIC when it comes to handling blobs and will use the same strategy storing BLOBs completely off page. It however will always compress blobs which do not fit to the row page, even if KEY_BLOCK_SIZE is not specified and compression for normal data and index pages is not enabled. It is worth to note I use BLOB here in a very general term. From storage prospective BLOB, TEXT as well as long VARCHAR are handled same way by Innodb. This is why Innodb manual calls it “long columns” rather than BLOBs. Our patches for 5.0 have attracted significant interest. You can read about SecondLife’s experience here, as well as what Flickr had to say on their blog. 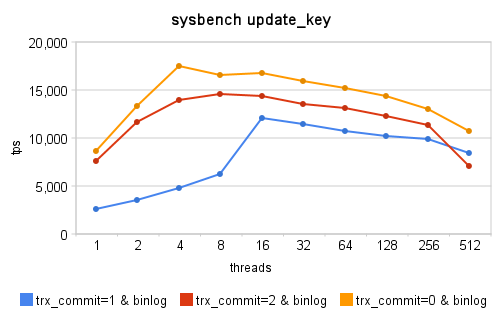 The main improvements come in both performance gains and improvements to diagnostics (such as the improvements to the slow log output, and INDEX_STATISTICS). Despite having many requests to port these patches to 5.1, we simply haven’t had the bandwidth as our main focus has been on developing XtraDB and XtraBackup. Thankfully a customer (who prefers to stay unnamed) as stood up and sponsored the work to move the patches to 5.1. 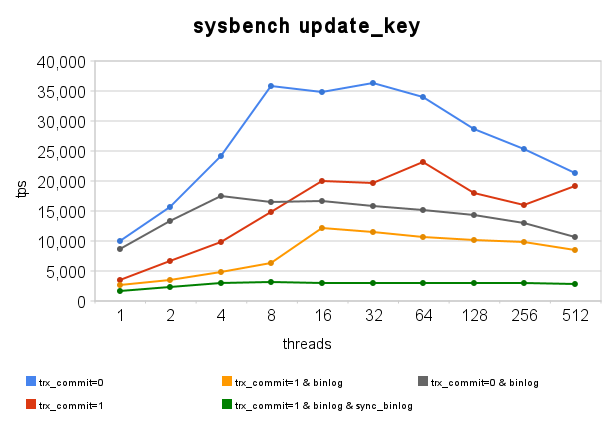 Performance patches for InnoDB ®. Although many patches are present in XtraDB / InnoDB-plugin, the RC status of plugin does not allow to install it on product for some customer’s policies. can get them from Launchpad https://code.launchpad.net/~percona-dev/percona-patches/5.1.43. Binaries are also on the way, and will be ready soon. We are running intensive stress testing loads on them to provide stable and quality packages. 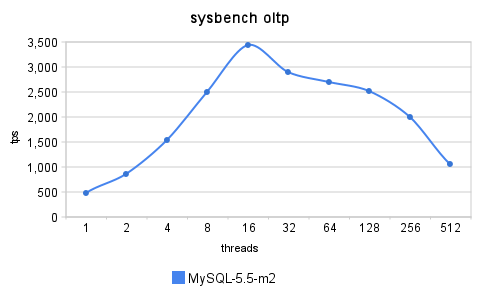 And to finalize are results for tpce-like benchmark, where I compare MySQL-5.1.43 vs percona-5.1.43. The results made for TPCE configuration with 2000 customers and 300 tradedays and 16 concurrent users on our R900 server. The dataset is about 25GB, fully fitting into buffer_pool, so disk does not really matter, but data was stored on FusionIO 320GB MLC card. As you see with percona patches you can get just about 10x improvement. Yeah, that sounds too cool, but let me explain where difference comes from. 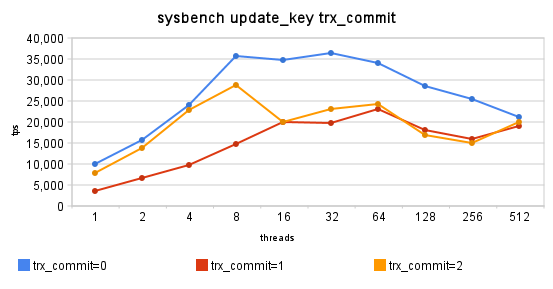 As I mentioned in tpce workload details the load is very SELECT intensive and these SELECTS are mainly scans by secondary keys ( not Primary Keys), so it hits problems in InnoDB rw-lock implementations and in buffer_pool mutex contention, which alredy fixed in percona-patches ( and in XtraDB and InnoDB-plugin also). So you are welcome to try it! of them is TPCE. Yasufumi made some efforts to make TPCE working with MySQL, and we are making it available for public consideration. You can’t compare results with results published on http://www.tpc.org/ and you can’t pretend the results are compatible with published by TPC. And we are not going to do anything from that, your primary goals is XtraDB/InnoDB performance research and/or compare with available Storage Engines for MySQL. but it allows you to see count of 11 different transactions per 10 secs and 90% response time. the summary result in TpsE (transactions per seconds).